Browse the course options by selecting the “courses” link in the main menu. Click on a course to learn more and add it to your cart to purchase. When you purchase a course you will be asked to select a username and password for your account. I purchased a course – now how do I access it? After you purchase a course you will return to the website and already be logged in. You can access the course from your profile page. If you do not see the course appear immediately following purchase, wait a minute or two and refresh the page. Courses are typically added automatically but can take as long as twenty minutes when the PayPal servers are slow. If you are having trouble access your course or logging in, please contact support@ceuey.com. Is there a time limit or course expiration? There is no time limit or course expiration. Buy the course when now and take it at your leisure. With the exception of the supervision course, all course are automatically removed from your profile after 1 year. If you have not had the opportunity to take the course during that time, send an e-mail to let us know and we can add it back (support@ceuey.com). Do these credits count toward my BCBA /BCaBA renewal/recertification? Yes! 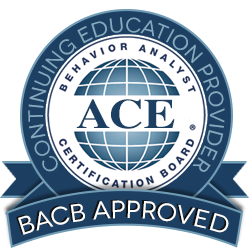 We are an approved continuing education provider for the BACB. Online courses count as Type II CEUs. We are also proud to have a selection of ethics courses, as they are required for renewal. I completed the course but my certificate doesn’t have my name on it. The certificate is created automatically using the information in the user profile. Before you take the exam, go to the profile page and fill-in your name and BCBA number. If you did not have the opportunity to update your profile before your certificate was generated, you may update your profile after the quiz and then select the certificate link on your profile page.